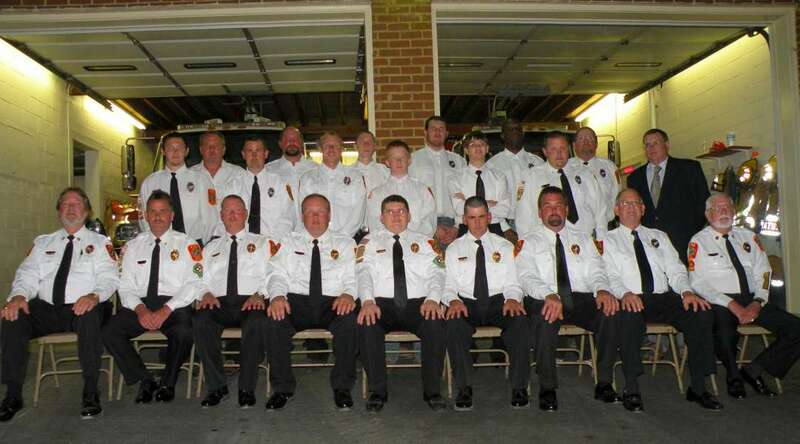 Pictured on the front row from left is LCVFD President Chipper Watson, Chief Billy Pearce,Deputy Chief Mike Clark, Assistant Chief Brent Ezell, 2nd Captain Daniel Medlin, 1st Lt. Scott Clark, Engineer Randy Brewer, Safety Officer Grady Waters and Chaplin Jimmy Adams. The Officers not pictured are 2nd Lt. Troy Spain and 1st Captain Chris Reamey. On the second row from left are Clay Medlin, Jeffery Hudson, Bruce Wray, Matthew Pierce, Gene Smith and Brandon Edmonds. On the third row from left are Danny Kidd, Jerry Jones Jr., Joe Claiborne, Josh Davis, Leon Whittle, Wayne Lawson and La Crosse Mayor Willis Woodall.